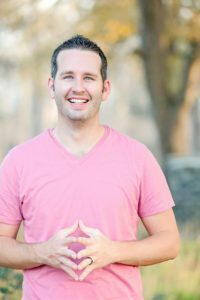 Have little ones in your life? Kids plastic picnic tables can be fantastic additions to your backyard or inside play room, but you need to make sure you buy the right one… one that is safe, sturdy, washable, and the right size for your child’s needs. And one that can put up with some serious play time. There are many different picnic tables for kids. Some designs are focused on function; they are solid, plain, kid-sized picnic tables. Some are designed to be more fun and attractive to little ones. 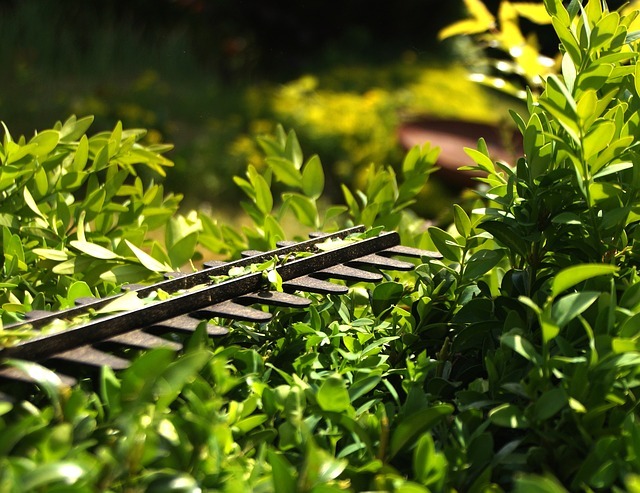 Many are collapsible, foldable, or very easy to disassemble and store flat when not in use. The big question is, what do YOU want in a kids picnic table? Today I’m taking a look at the Top 5 Kids Plastic Picnic Tables of 2018 and I’m hoping to help you out in your search for the right one for your children’s outdoor dining needs! 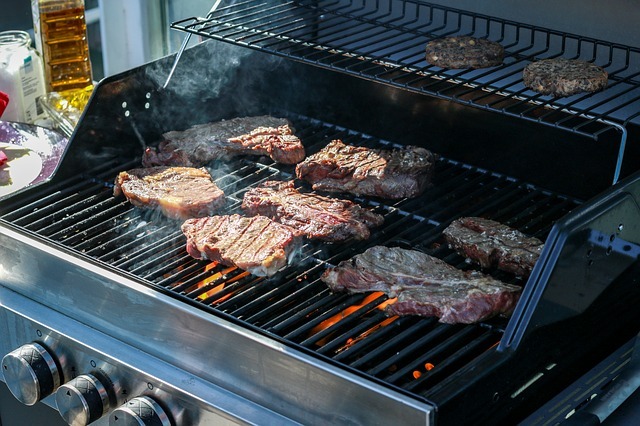 First, a comparison chart comparing the main points of the 5 best kid sized picnic tables, then a brief write-up review of the Pros and Cons of each. 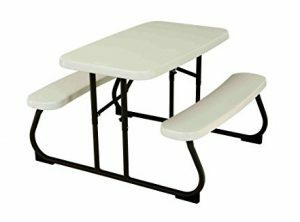 If you’re looking for a simple, good quality kids table, this Lifetime Kids Folding Picnic Table is one of your top options. It’s very sturdy and can handle a lot of action (including kids on the table top, which yes, happens). It isn’t “childish looking”, in fact, it may match your adult sized lifetime picnic table! It can’t fit a big crowd of kids. 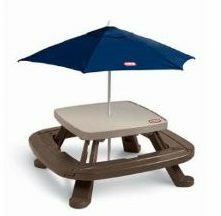 Looking for a fun kid-sized folding picnic table, and want something a bit “different” than the above option? Consider this kid sized table, also by a Lifetime, one of the best picnic table companies out there. It has a fun shape and a bight color kids will love! It’s really easy to wipe clean! Step2 is a brand well known for great quality and kid-friendly child-sized furniture and toys. 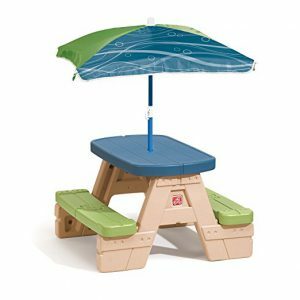 This kids plastic picnic table with umbrella might be just right for your child’s needs out on the patio. 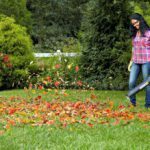 It’s easy to clean – just a simple wipe! If you have a youngster, you’ve likely come across Little Tikes products – probably you even have a few of them. They are great stuff! Let’s look at this kids plastic picnic table option. It’s easy to wipe clean after a messy meal or craft session! This is a unique option from the other 4… and it deserves consideration for sure! 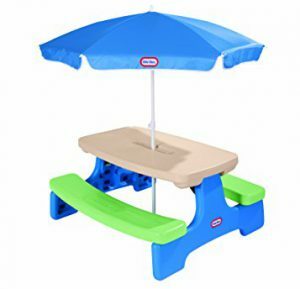 Although it’s rated slightly lower by reviewers than the others (4.2 / 5 stars average on Amazon), it’s still a very good kids folding picnic table option. 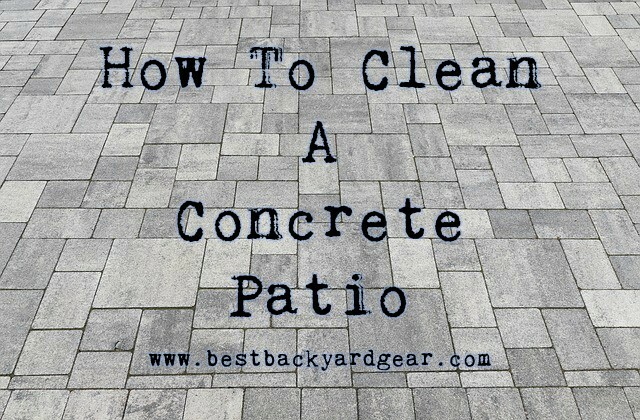 You can wipe it down easily to clean it! 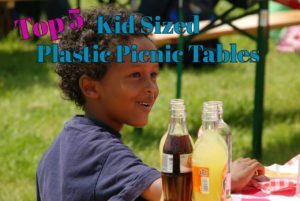 There you have it, friends… info on the Top 5 Kid Sized Picnic Tables I hope this has been helpful for you! As always, if you have any questions, I’m happy to answer as best I can… and I’d love feedback or suggestions for products to review next! 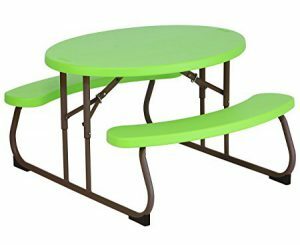 Be sure to check out our post on Round Picnic Tables if you’re thinking that might be a good fit for your family as well. 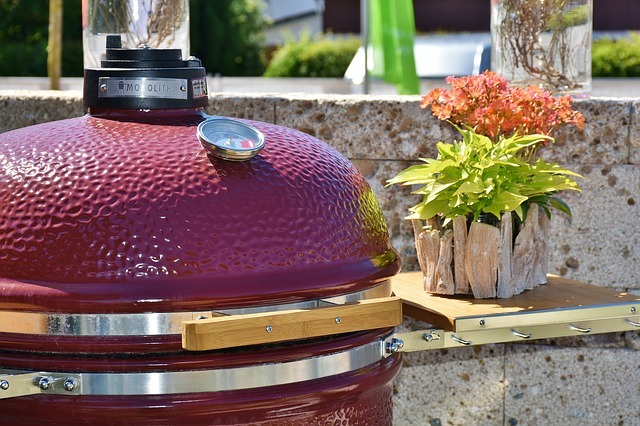 Wishing you a lovely outdoor dining experience… with your kids!